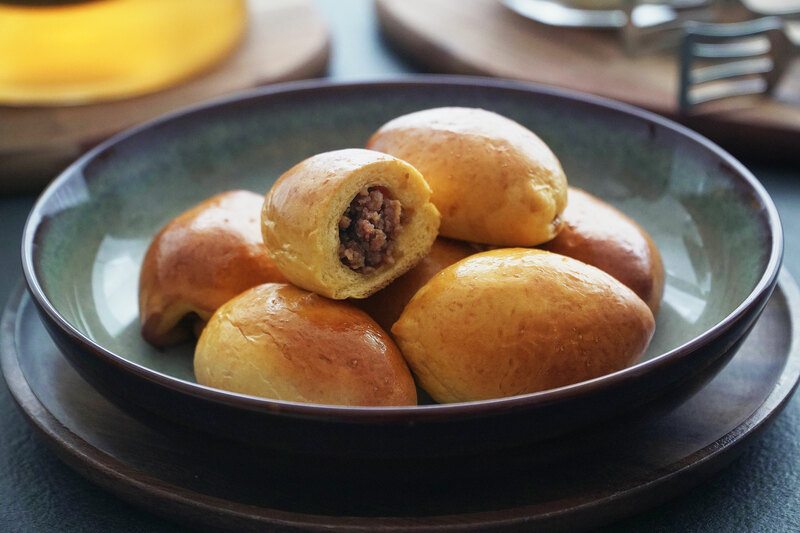 Sweet potato buns stuffed full with tender minced meat filling, Pang Susi is a delightful snack originating and handed down from the Eurasian community. These healthy looking buns are not complete without its savoury fillings. With the complex blending of flavours and textures from spices, tender pork belly and candied winter melon, this heavenly fusion is what makes Pang Susi so special the ssweet potatoes gives a moist touch and a beautiful yellow-orange finishing hue. Assam Pedas is a tangy & spicy Malay dish that never fails to hit the spot! Today we show you how to make this Classic in the comfort of your own kitchen. You’ll be surprised at how easy it is! There are many variations of nasi ulam (Malay herb rice) and Nasi Kerabu stands out with its signature blue rice, naturally coloured with dried butterfly pea flowers. 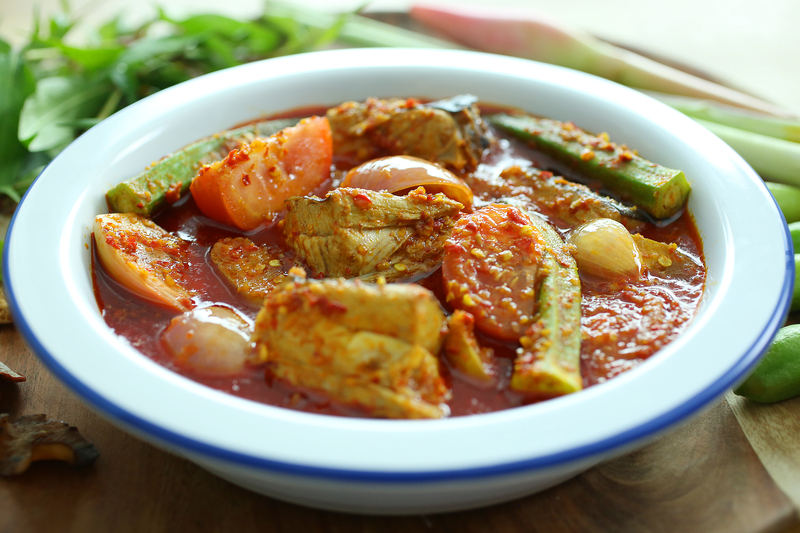 This dish originated from the north-eastern states of Kelantan and Terengganu on Peninsular Malaysia, but can now be found all across Malaysia and even in Singapore. We love food on skewers. The taste of sweet tender meat char grilled to perfection and still very juicy in center. But, what holds us back is quite tedious to do it at home. 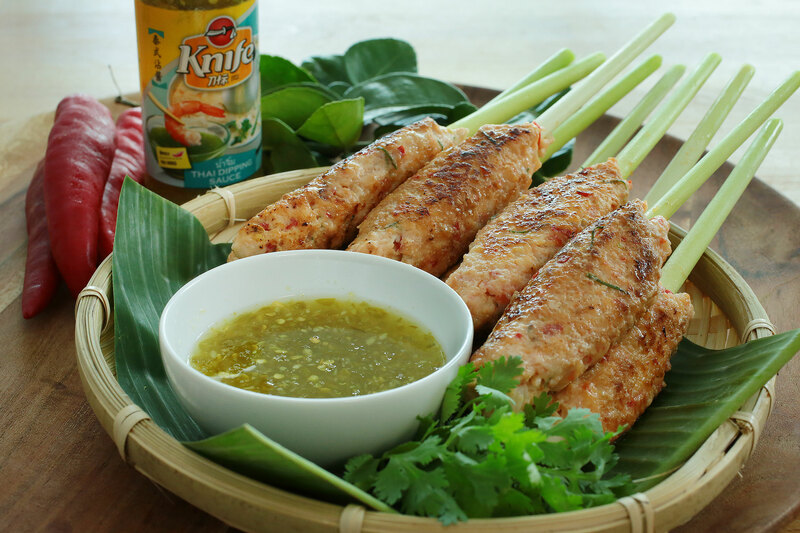 We came up with this super easy grilled shrimp lemongrass skewers that you can be replicate at home in a jiffy using Knife brand Thai Dipping sauce. The spicy sour sweet flavour of the sauce enhances the sweetness of the prawn meat. The lemongrass skewers imparts its subtle fragrance to another level. Serve it with a small bowl of the Thai Dipping sauce. Delish to the max! 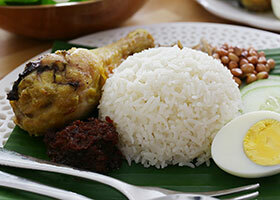 Fragrant coconut rice, deep fried chicken drumsticks, ikan bilis, hard boiled egg, Nasi Lemak is an all-time favourite for us Asians!